A Frugal Family's Journey: A Frugal Family's Journey - We Just Joined the 100K Club!! A Frugal Family's Journey - We Just Joined the 100K Club!! A BIG "Thank You" to everyone that has supported our blog...whether you have been with us from the beginning or you've just recently joined the journey, we would like to thank each and every one of you for your support. 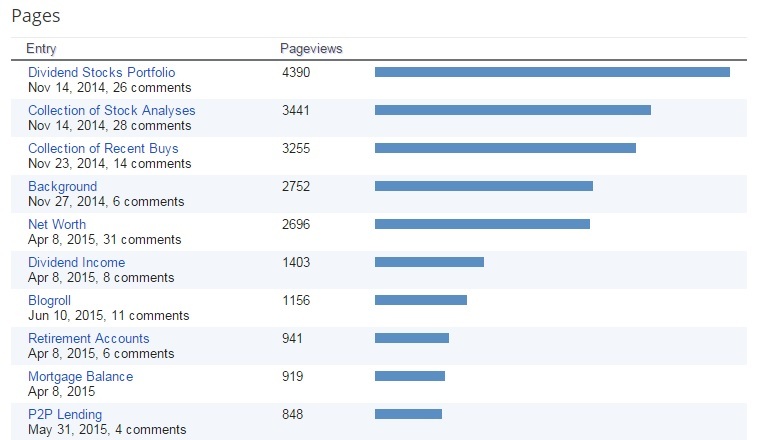 Since I am somewhat of a stats nerd, below are some additional stats behind our 100,000 visits. Our top three most popular page visits are: 1) Dividend Stocks Portfolio 2) Collection of Stock Analysis 3) Collection of Recent Buys. 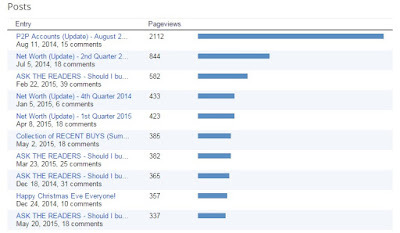 Our top three most popular posts are: 1) P2P Account (update) - August 2) Net Worth (update) - 2nd Quarter 2014 3) ASK THE READERS - Should I buy BAX, JNJ, PM, TD? I just passed the 1k total views on my blog. I now have a goal after reading your update! I am a stats guy too so thanks for posting this info. Its fun and inspiring! Way to go Adam...everything starts with that first milestone! Keep it up. Remember, it is a marathon and not a race. Growth your followers and the blog organically and like the compound interest theory, things do get exponentially better! Whoa - nice work, great job crossing the 100K - definitely a monumental area to hit. Soon you'll be having that on an ordinary month I bet! Can't wait to read the 250K target next! Thanks Lanny. Hoping the next 100K come a bit quicker! Thanks for the vote of confidence. Glad you have continued to come along for the journey and hope to see you here at 250K. Congratulations on your 100k milestone. You have a lot if useful resources so I think your number will continue to grow (like your dividends income). Thanks. Glad you find our tools useful. Thanks for the support. We hope to continue sharing our journey and tools to readers for years to come. Thanks Captain. 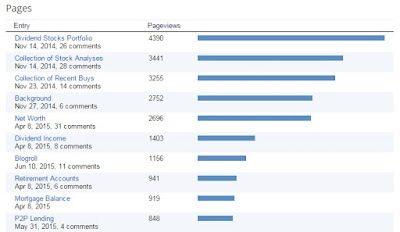 We are certainly glad to see our blog grow organically each and every month. 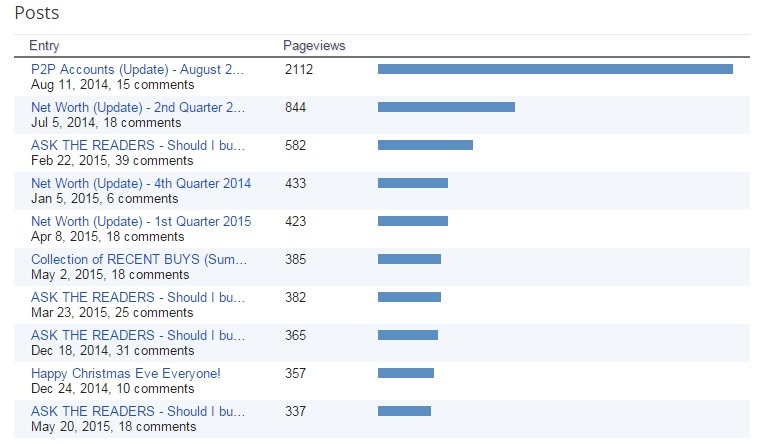 Wished we had more time to devote to the blog to grow it faster. Nevertheless, we are still very happy with the growth we've seen thus far. Congrats on the milestone, AFFJ. Heres to the next milestone for your blog! Thank you for your excellent Twitter presence. The re-tweets are always appreciated. I'll add you to the blogroll over at Wallet Engineers. Also, thanks for adding us to your blogroll. Congrats AFFJ! Youre doing great over here. And im sure youll crush this mark over tge 15 months. Im about to cross a pretty big milestone myself that I cant to cross. I would have got there earlier had I not taken 3 months off but I wouldnt trade the time with my son for anything. Keep up the good work! Thanks JC. As you can see, you are our top referring site so a BIG thanks for that!I I suppose I'll just wait patiently to here about your next milestone. Best wishes on that achievement. Have not doubt you'll reach whatever goal or milestone you've set for yourself. As for the 3 month hiatus, I can't say I blame you one bit. I would have done it also, if not longer. But if you are like me, blogging can sometimes be a nice outlet and something to keep my mind off work or other things that life brings on. Know that you have a loyal follower in us. 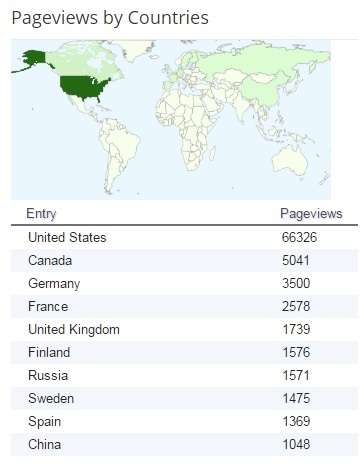 Thanks for the blog traffic and friendship. Congratulations AFFJ -- the first 100k is definitely the hardest... thereafter, it seems to get easier as time goes by. Keep up the good work! Thanks FerdiS - I see you have over 259K lifetime visits. Hope to be where you are in a year or two. Thanks for the vote of confidence my friend. Thanks Financial Freedom. Keep blogging and establishing a relationship with your readers. Your traffic will continue to grow organically over time. ASK THE READERS - Should I buy XOM, OHI, WMT?